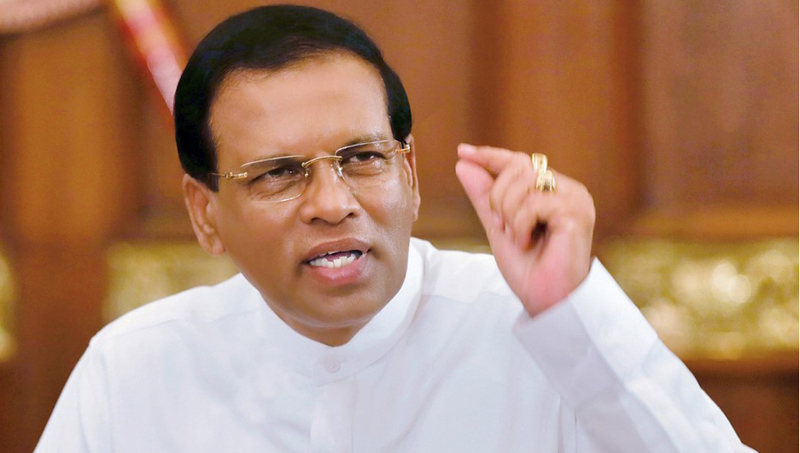 A joint mechanism with the assistance of all stakeholders should be implemented to protect the environment, President Maithripala Sirisena said. The President was addressing the “Presidential Environment Award 2018” ceremony yesterday at the BMICH. The awards ceremony is organised annually by the Central Environment Authority of the Mahaveli Development and Environment Ministry under the theme “Towards a blue green era” whilst having the vision “A clean and green environment through service excellence”. Addressing the gathering, President Sirisena added that all stakeholders in society including industries, commercial institutions, business ventures, social workers, public organisations, state institutions and so on, should work together to reach a common goal of protecting the environment. “International organisations such as the United Nations (UN) are working for the protection of the environment,” the President said. “Attention has been drawn to environment management now than ever before by the entire world as the importance of protecting the environment is understood by all,” President Sirisena said. Sri Lanka is not an exception since we all focus our utmost attention on environment management and protecting the environment” the President added. “For a healthy life, all fauna and flora need clean water, air and a clean environment including clean soil. If the environment is protected, it is blessed by nature. Then, everyone is duty bound to protect the environment not only for the future generation but also for a healthy living,” the President noted. Speaking on the Wana Ropa Project carried out by the Government (Tree Planting Project), it has been planned to plant 10 million plants.